Cutting crown molding puts some fear into me. My dining room has been waiting for molding for several months now — it needs several inner and outer 90-degree cuts, due to doorways and HVAC runs — but I haven’t tried it yet. The complex cuts seem like they could overwhelm you, and the lumber is so pricey, I’m afraid of making a bad cut and having to throw it away. This Crown-Cut jig might help ease my mind. There’s nothing like a bilingual ODB II scanner to get your car or truck moving in the morning. 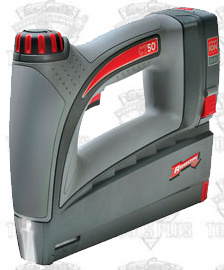 I first saw an AutoXray product when it was featured on Shadetree Mechanic in the ’90s — it was a fairly priced scanner that would work well for any consumer. 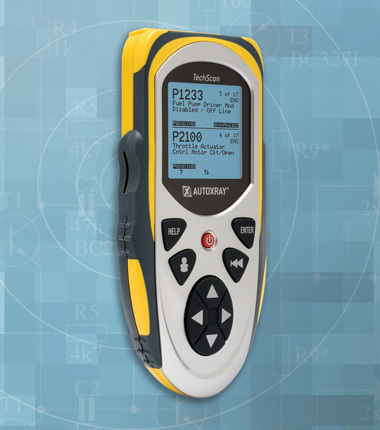 Now AutoXray offers upper-end models like the TechScan 7000. A while back Toolmonger reviewed a Finishline AlligatorBoard with a patriotic flag pattern. 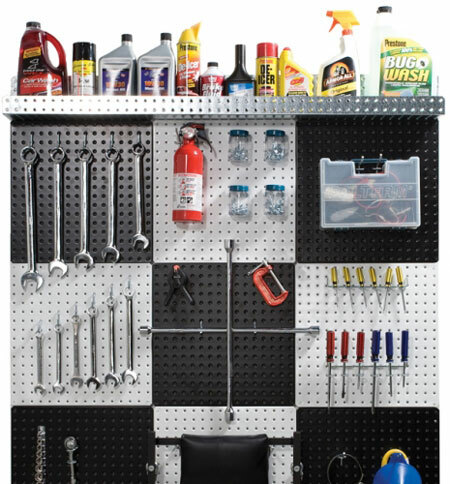 I can’t see hanging tools off a flag — it just doesn’t seem right to me — but I could work with this black and white checkerboard pattern. 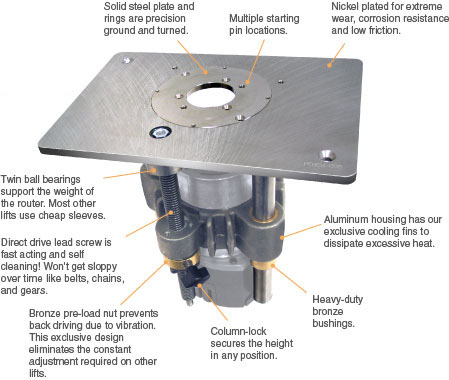 Mounting your router inside your router table can help you get the most out of it, but then it can be difficult to get to the router to change out the bits or adjust the height. 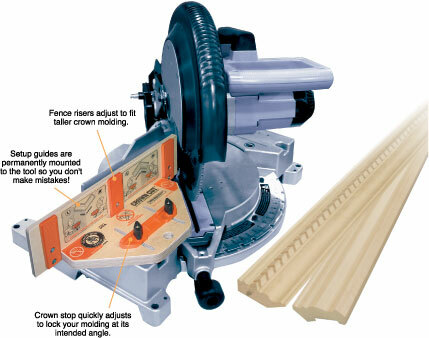 Bench Dog’s ProLift allows you to get your router up fast so you can make those adjustments quickly and easily. Here’s another one of those “why didn’t I think of that” tools: a garage door opener that works even when the power goes out. Normally in that situation you’d have to pull the emergency release and open the door manually, and I can’t see my wife working too well with that option — with her luck she’d have the door on her foot in seconds. Yesterday I mentioned Grizzly’s SuperBar, but if you really want to be accurate when adjusting your saw blade, you’ll want to use that gauge in conjunction with a Master Plate. 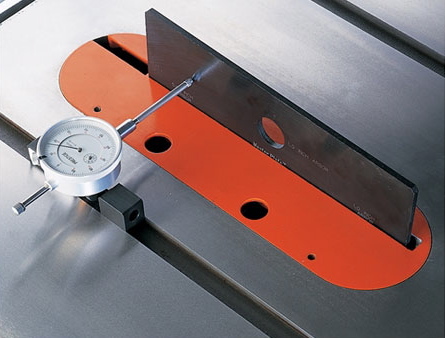 You install Grizzly’s Master Plate on your saw’s 5/8″ or 1″ arbor — unlike a blade, the Master Plate won’t flex when you’re making your measurements. It’s worth the extra effort to keep the blade at exactly the correct angle to the work surface, ’cause if you’re off just a degree, or a fraction of a degree, it’ll show up as loose joints in the end product. 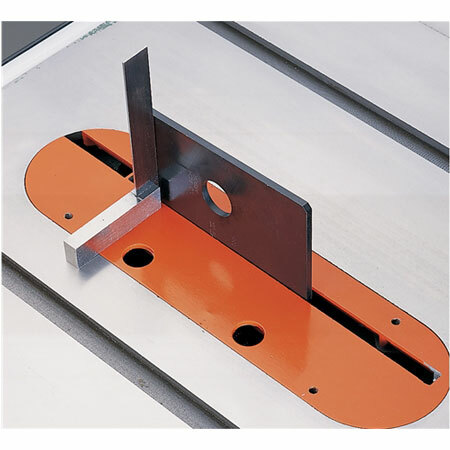 Grizzly’s Master Plate measures 6″ by 10″ with zero runout, and it’ll help you set your saw to 90 degrees or any other angle. It sells for about $50. Grizzly’s SuperBar not only helps you align your saw blade to exactly 90 degrees, it’ll also help keep the blade parallel with the miter slot and the fence. 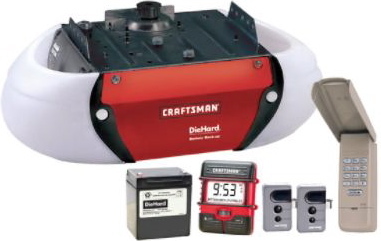 It runs in the miter slot, and its precision dial indicator gauge is accurate within ± .001″. The dial gauge features a full inch of travel. You can measure the saw blade itself or a Master Plate made by Grizzly or someone else — the gauge’ll measure other tools as well. The SuperBar sells for $80. My cold drinks always get hot in the shop. Sometimes I carry a small lunchbox with a freezer pack out there, but I usually forget about it and end up leaving it out in the garage for a few days. 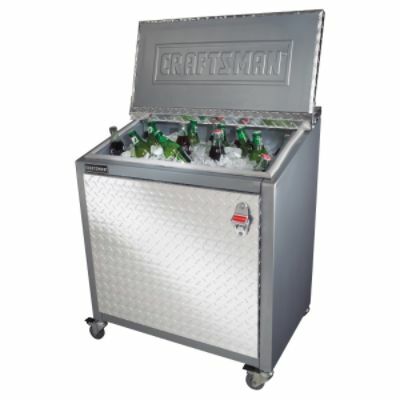 For Toolmongers who don’t keep a mini fridge, or the “old” fridge, out in the shop, Craftsman makes this Retro Design Cooler — it looks cool and it keeps your drinks cool, too! 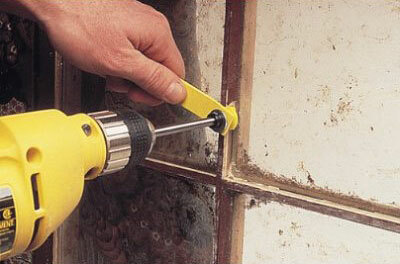 Removing putty from windows is almost never a fun task — you run the risk of breaking the window if you push the wrong way, and you can scorch the wood if you try applying heat. I usually end up just using a putty knife and hoping for the best, but this Prazi Putty Chaser looks like it could take a lot of the work out of the job.